Palau and Austria do not have much in common at first glance. 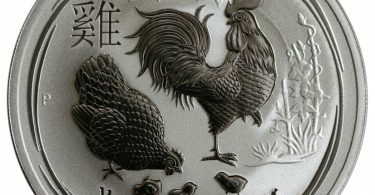 After all, the small island state and the Alpine republic are about 11,500 kilometers apart.But since 2017, there has been an interesting occasion for Bullion investors to remember Palau on the world map more precisely.On the order of the Austrian-German bullion trader “Philoro Edelmetalle”, a new investment coin under the flag of Palau has been published since this year. 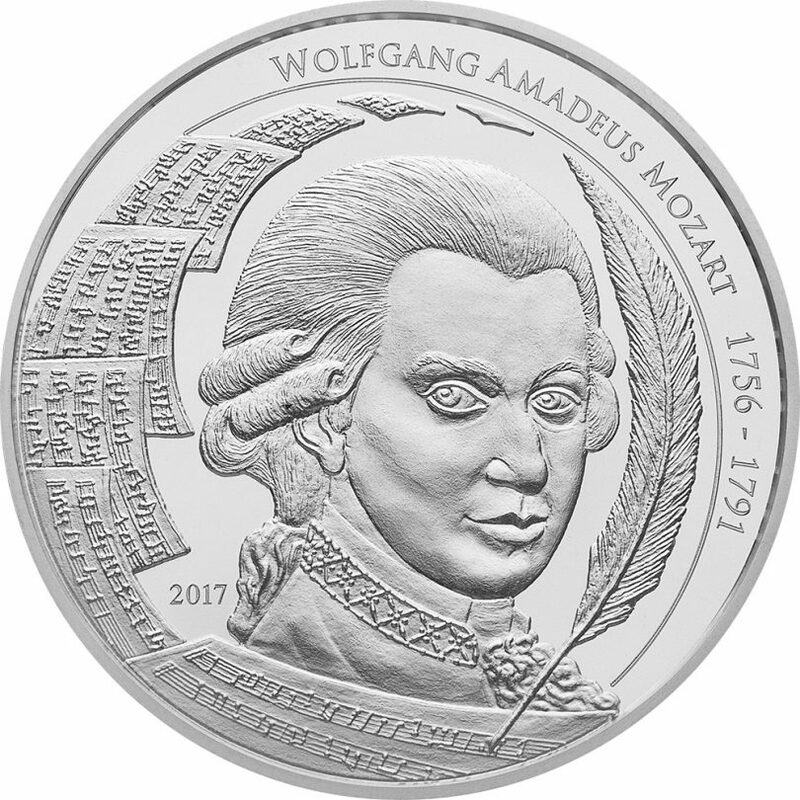 Available as an ounce in silver and as a whole, half and quarter ounce in gold, the coin honors one of the world’s greatest composers: Wolfgang Amadeus Mozart. The new Bullion coin is characterized by its high-quality design: the portrait of Mozart is surrounded by a quill and notes, the contours of the face are finely worked out.Especially Mozart’s hair and the quill have the finest details.This numismatic work of art comes is penned by Tom Pohnert. 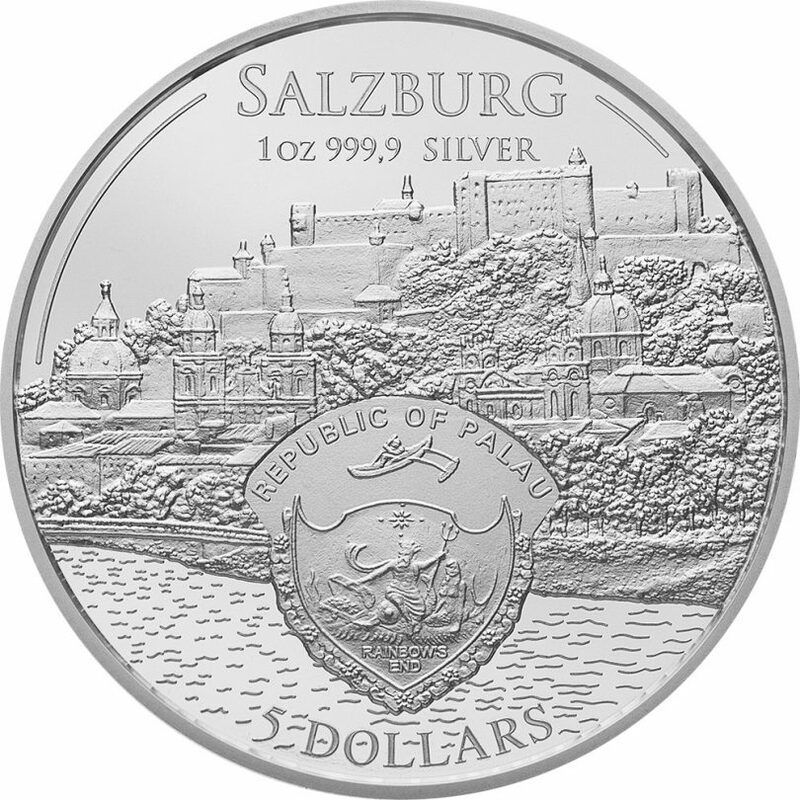 However, the front is not in any way inferior to the design of the musician; it decorates a city view of Salzburg, Mozart’s birthplace.The coat of arms of Palau was discreetly placed in the center of the coin.In the country, however, the coin does not have any importance as a means of payment, because the US dollar is actually used as a currency. 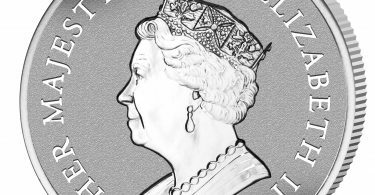 The silver edition of the Mozart coin is coined in “Four-Nine” silver (99.99%), and even the “Five-Nine” standard (99.999%) is used for gold.It is not yet known whether follow-up editions are planned or whether Mozart should be permanently established as a new bullion motif.The edition is unlimited and is produced according to demand. The Mozart gold coin has a weight of one ounce with a nominal value of 200 dollars, the silver coin has a nominal value of five dollars.Thanks to its production outside the EU, it can be sold on an exempted tax basis.